Over the last few years I’ve managed to grow probably two figs that were completely ripe and truly flavoursome. The rest looked deceptively plump and purple but were pale and under- ripe inside – nothing more disappointing! Despite my lack of home-grown figs, I still like eating them, so I have to rely on the shop-bought When the first figs start to appear in the shops I get really excited. The thought of figgy recipes somehow soften the blow of the end of summer and ease me gently into autumn. 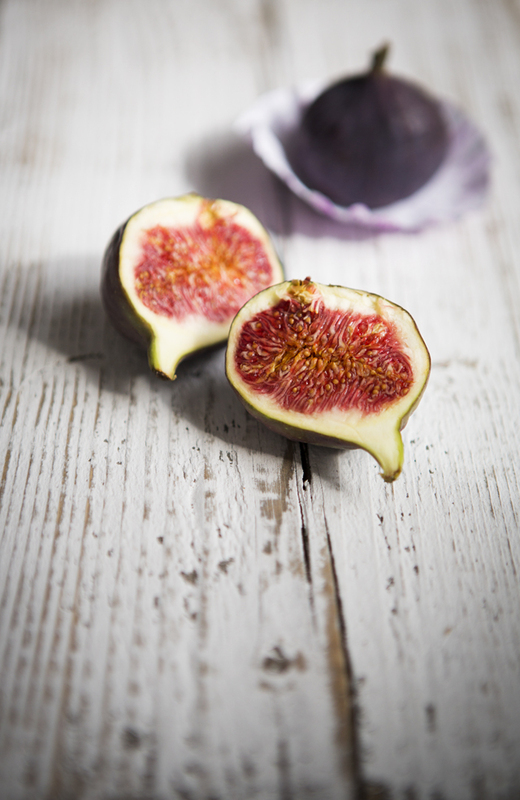 These are three of my favourite fig recipes, in particular the figs with prosciutto – so simple to prepare and yet so delicious. Figs with prosciutto – accompany with some sour dough bread and it’s happy days! Fig chutney – great as an accompaniment for leftover roasted chicken or with some lovely blue cheese and crackers. Is there anything more beautiful and satisfying than slicing into a fig? I think not. Even dried figs are a delight to work with! Such a sweet photo… and great ideas too! Can’t believe I’ve only just found your blog… I think it is absolutely gorgeous! I’ll be stopping by lots from now on if that’s okay!